An engaging and accessible guide to the Bible's teaching on who we are. What exactly are we? The modern world has many answers to that question, each of which has consequences for the choices we make about our own life and the lives of others. 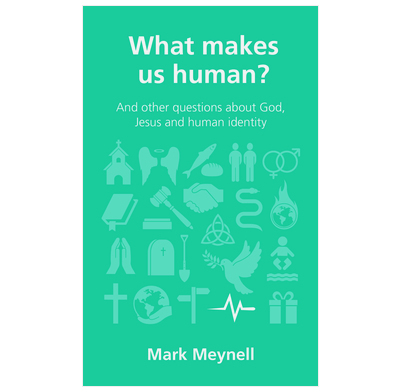 In this short, accessible book, Mark Meynell wants to help confused Christians understand what God has said in the scriptures about key questions, such as when does life begin, where do our souls come from, and what sets humans apart? He offers a positive and liberating way forward as we discover what true humanity really is. 1. Who are we: Animal, Vegetable or Mineral? This 80 page book really explains why we are different to animals and angels. He shows that to understand your humanity you have to look to the creator. All very clearly explained and yet thought provoking. The latest in the Questions Christians Ask series, Mark Meynell sketches out a solid introduction to basic Christian beliefs about humanity. Its brevity is both it's biggest strength and weakness. It is accessible and easily digested in an hour or two. It's probably most helpful for younger or newer Christians - more established Christians might find it a bit basic, and it assumes a lot that a non-Christian might want to argue. It's weakness is that the Questions Christians Ask format works best with a clear and specific question, but "what makes us human?" is a massive and broad topic. It touches on big questions such as gender and sanctity of life without room to develop its implications. Some suggestions for further reading might have helped, especially since a book of this length can't be much more than an introduction to larger topics. But given the limitations of tackling such a big question in such a short read, if you're looking for a pithy summary of the Bible's teaching on what it means to be human, this is a good and helpful book.